Currently viewing the tag: "Mardom"
"Contrary to popular belief, many of us writers here at Angry Metal Guy Institute haven't been exposed to every band a genre offers. Whether that's due to time constraints, the ol' chestnut of "I'll get around to checking them out eventually" and then forgetting to check them out eventually, or just the simple fact that you haven't heard of them, many bands honestly fly under our radar. That's just a fact of life. 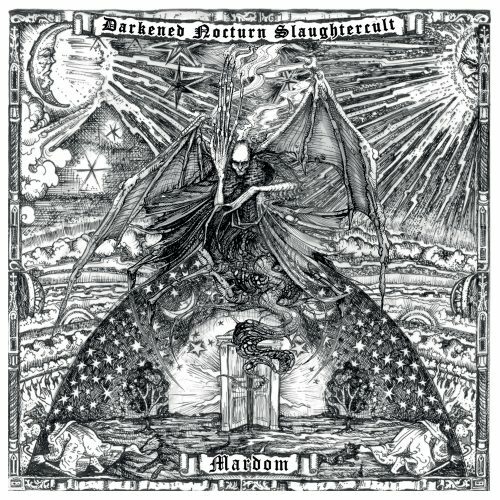 In this instance, I hadn't heard a note of Germany's black metal quartet Darkened Nocturn Slaughtercult until guitarist/frontwoman Onielar took over the coveted mic for fellow German legends Bethlehem in 2016 on their self-titled album." Scary friends of creepy acquaintances.